Ever had that lazy Sunday, when all you want to do is cuddle up in bed and drift in and out of a laze-induced slumber? I was doing just this one Sunday not too long ago, when the mixer-grinder roared in the kitchen. Does Ma not want me to chill, I thought, trying to kick my blanket into magically make an impenetrable bubble of coziness around me. I was playing Super Mario the night before, and ended up falling asleep on the couch that’s just next to the kitchen. This is where I was still lying, relentlessly trying to resist the onslaught of a family’s household activities. Resisting the need for any physical effort other than a low grumble to myself, I mentally directed all my telepathic powers to make the grinder stop. In that brief silence, the breeze brought along the chirps of house sparrows from the patio, but before I could fully soak in the peace of home, a steady hiss of steam and a splutter of something wet on a hot, piled pan. The haze of laziness forgotten, I sat up, straight as as an arrow, ears perking up and nose perking into action. Batter plopped, taming the sizzle into a baritone of “glubglubglub” for just a second, before my favorite bit: Ma’s bangles clinked against each other. My half-opened eyes could see her hands guiding creamy, white batter in perfect circular motions. Ma is making dosa, it was the chutney-grinder that had woken me up. I bolted out of my couch in a jiffy, quickly washed up and joined dad looking through his phone/reading paper at the dining table. Following his own untalked-of morning schedule, he started up the music system, this time tuning into a Kishore Kumar channel on the radio. Ek Ajnabee Haseena Se was on, and from their separate corners, him at the table and her at the kitchen stove, I spied them both humming to it in unison. 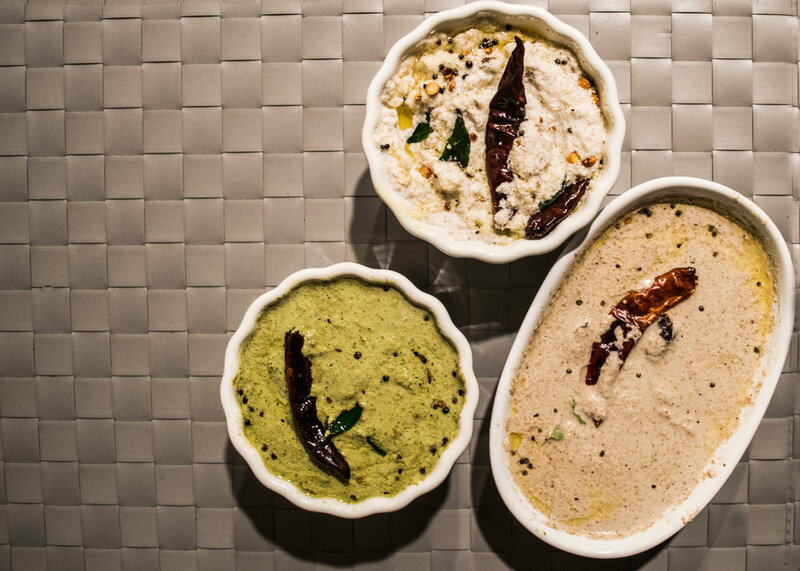 That comfort and familiarity can come only with years and years of love and patience I thought, while impatiently scooping up a dollop of fresh coconut chutney. I set the white, wet, fluffy spoonful on my plate, admiring the tadka-sprinkles— almost art. I glanced at Ma, and she smiled back at me, still singing along while busily moving around in the kitchen, customising how each of us— Akka, Papa, and I— like our dosas. Mine’s crispy to a crunch, almost as if deep fried in ghee. Paper thin. 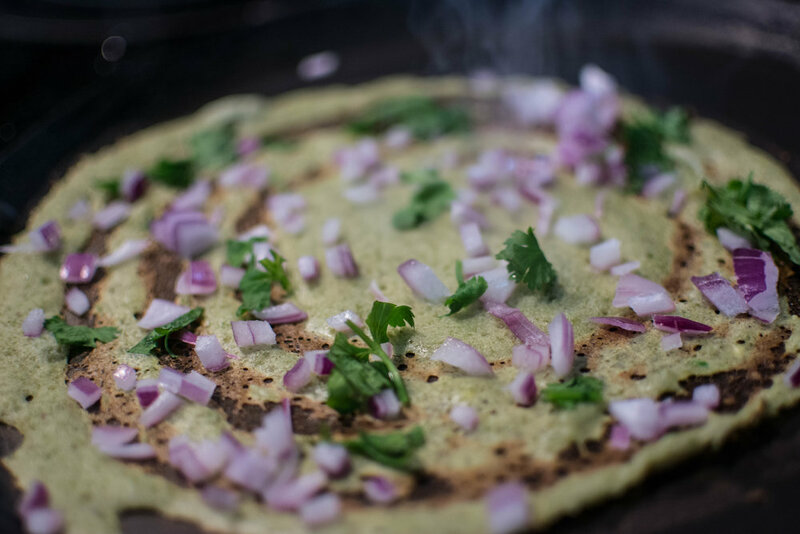 As I relished each bite, Papa’s dosa came in— not as crisp but with green chilies and chutney-powder rubbed into its belly. No breakfast at home is complete without a hot, strong filter coffee. And especially so after dosa. I overate that morning, but wolfing down my food the way I did meant that I was the first one to finish, so I made myself useful and set the coffee filter as Ma and Papa finished up. As I poured in the boiling water from the saucepan, big bubbles spluttered like little pin pricks from its edges and onto my skin. The radio continued along through its playlist of all the familiar, comforting tunes, just like Ma, Papa and I ate and made breakfast in a comfortable synchronicity that needed no talking. It was now Mere Samne Wali Khidki Mein played, as I stood by the kitchen counter, waiting for the coffee decoction to filter through. Like Sunil Dutt lip-syncing and keeping pace with Kishore Kumar in the song, my dabara-hand kept pace with my tumbler-hand, as I mixed the decoction and milk back and forth in huge arc-like motions. Here’s a secret for the next time you make coffee: If you’re close enough to smell it from the glass, make sure you listen to the crisp brown froth whispering its own little secret sizzles to you. Niharika Korada loves nature, promotes positive energy and is an Engineer by profession, in this exact order. Apoorva Katikaneni is a healthcare professional in Chicago. Her constant companion is her camera and she's always planning her next holiday.